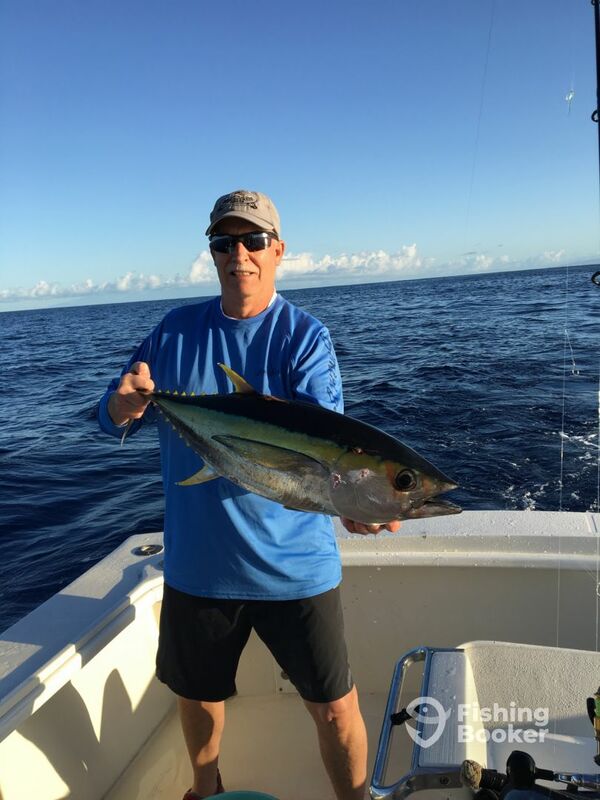 Captain Dee Bradford started fishing in Kona in the early 80s, and hasn't stopped since! 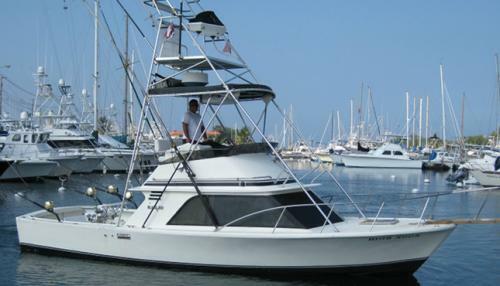 He's owned and operated High Noon Sport Fishing charters for the past 25 years. Capt. Dee, who has been profiled in media such as Marlin Magazine and Deep Sea Fishing Network, loves nothing more than showing his anglers the nuances of Kona fishing. Describing the underwater terrain, discovering ledges and bouys where smaller fish congregate, demonstrating the fish finders and chart plotters which help immensely in finding fish...you name it, and he'll fill you in on all the 'need to know' information! When it comes to fishing, Capt. Dee loves trialing new techniques and sharing tricks and tips with fellow anglers. How about his favourite catches? Well, he has three 900 lb plus Blue Marlin under his belt, to name a few. On High Noon, you are not just a spectator but an integral part of the fishing experience, so come aboard and get ready to reel 'em in! The fishing in Kona is for Blue Marlin, Striped Marlin, Spearfish, Mahi, Ahi and Wahoo along with some of the smaller tuna species. We specialize in live bait fishing on light tackle as well as trolling for bigger fish like Blue Marlin and Ahi. Fish were not on the bite but the experience was good we did have two marlin bites and caught a Mahi. 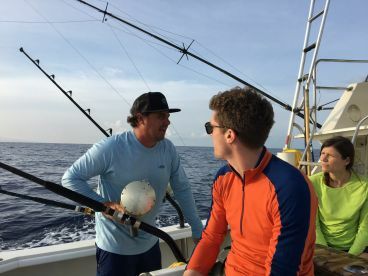 The captain and make were good at conversation and sharing info regarding the history of the island, also they did know what they were doing fishing wise. Highly recommended!! Full day trip was cut slightly short by high wind but we had a great time. Got fish, saw fish, saw whales, a spectacular day on the water. Thanks! Richard, thanks for the review from Feb. 8 and your booking request for March 7. Unfortunately we are already reserved for March 7….is March 8 or 9 possible. These guys were great. Gave us excellent advice and we caught fish. You won’t go wrong with these guys. Great time on the water.